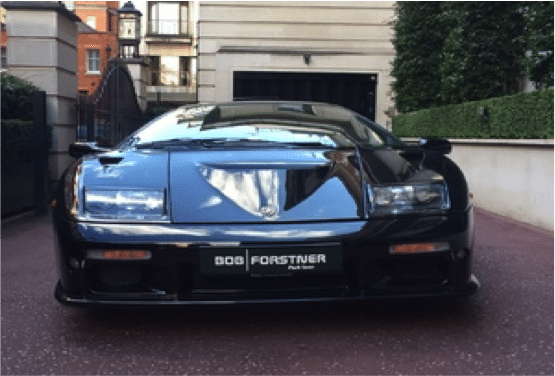 In 1999 Lamborghini introduced the Diablo GT, a very limited production made up by only 80 examples. 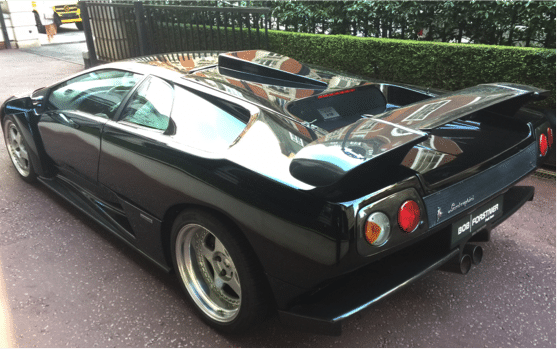 The Diablo GT was a completely race-oriented model differing in nearly every aspect from the more mainstream Diablos. 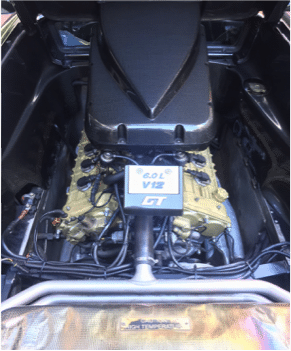 The cars were fitted with radically altered aggressive bodywork, a stripped-down interior, and an enlarged engine. 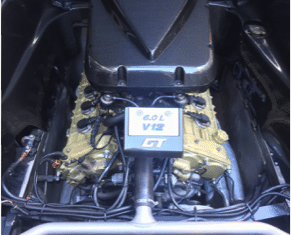 Some GT models were imported into the US and a few may have been converted to road-legal US specification. 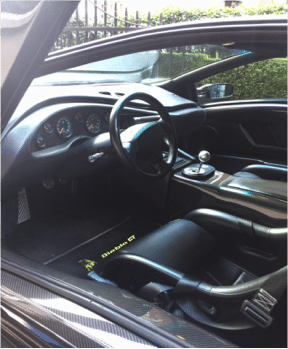 On the inside, the Diablo GT featured carbon fibre panels, race-spec bucket seats with 4-point seatbelt harnesses, a smaller steering wheel, and an optional Alpine LCD screen for GPS navigation and a bumper mounted backup camera. Despite the racing pretences of the vehicle, air conditioning was still installed as standard equipment; airbags could be optionally omitted. These cars were offered in 4 colours: black, orange, yellow and silver. All of these paints were metallic. 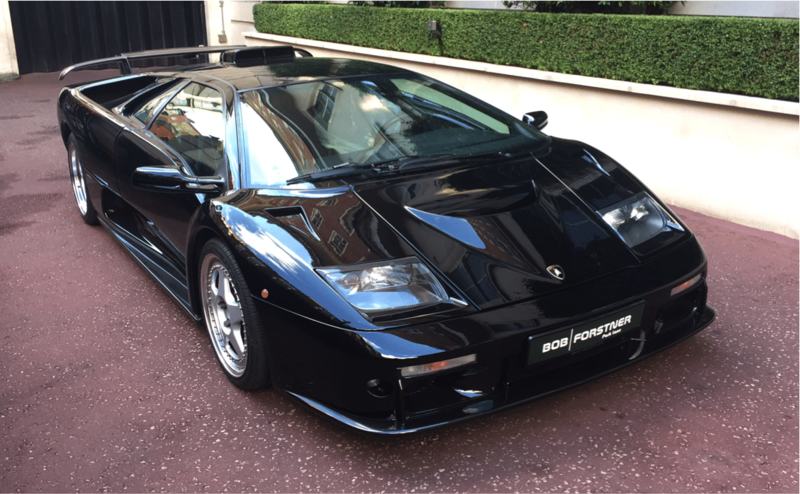 This car is a special order non metallic black car reportedly one of 2. 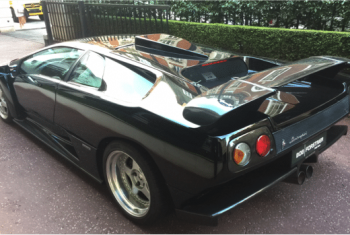 It is one of the 4 original Diablo GT to be delivered to the UK. One collector owner from nearly new. Full service record form official Lamborghini partners. 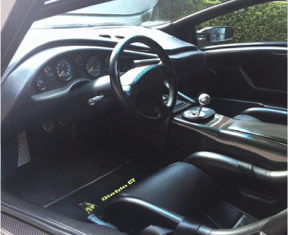 Sports configuration with airbag delete, carbon backet seats, 4 point racing seatbelts. One of the very few cars with the short ratio option.